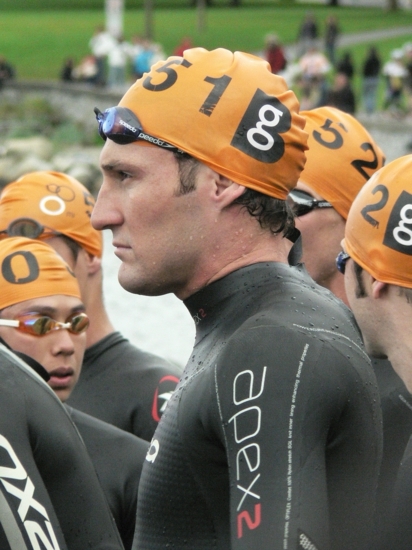 Endurance athletes require a physical demand of their bodies that is unique. Endurance sports combine an increased heart rate and blood pressure with a need for high-energy movements over time. Thus, these athletes often have to deal with stresses to the body such as fluid loss and inflamed muscles. On top of all the strain a typical workout demands of an athlete, the rigorous schedules of endurance athletes often require training on consecutive days or even multiple times per day, without the recommended rest period in between. Therefore, it’s important for them to take in proper nutrients to maintain their muscle mass and avoid injury and fatigue. Body composition and weight affect any athlete’s performance, regardless of their age. Too much body fat can negatively affect an athlete’s speed, power, and endurance. Similarly, a poor fat-to-muscle ratio can cause issues with agility and strength. It’s important to maintain a sufficient amount of lean muscle mass in order to increase athletic potential, but it’s also a key factor in leading a healthy lifestyle in general, especially for those over 40. It’s important for triathlon competitors, distance rowers, and other endurance athletes to take the proper protein supplements to avoid injury and maintain muscle mass. But taking supplements to maintain muscle mass can, realistically, benefit anyone. Whether your body is beginning to show signs of aging and you notice a decrease in your ability to engage in physical activity, or you simply want to get your lean physique back, a diet with the optimal amount of protein intake can help. Protein is one of the main contributors to keeping the body’s lean muscle mass in check. Cyclists and distance runners, who put their muscles to the test on a regular basis, need to incorporate special supplements for endurance athletes into their diets to perform properly and avoid injury. Protein supplements are critical in helping the body recover from muscular strain and tears. An athlete who gets an ample amount of protein in his or her diet can help build muscle and gradually overcome difficulties with every exercise. Protein supplements are not only great for endurance athletes, who need extra nutrients, they’re also imperative for anyone trying to overcome the effects of aging as well. As a person ages, their specific dietary needs become much more critical. There are many signs of aging – loss of lean muscle, less ability to perform cardiovascular activities, risk of disease, et cetera, and taking a protein supplement (combined with the right workout regimen) to maintain muscle mass can combat all of these factors. For those over 40, the right amount of protein is a critical factor in healthy aging.